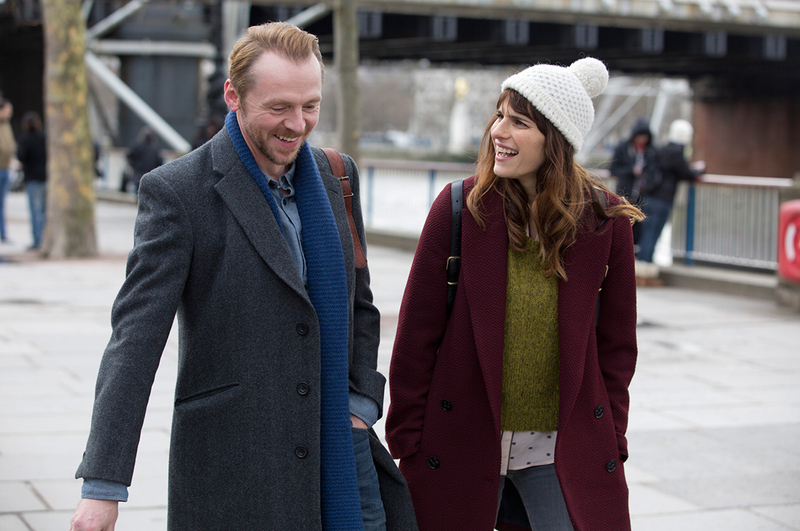 A very British, very modern romcom, starring Simon Pegg, Lake Bell and Rory Kinnear. 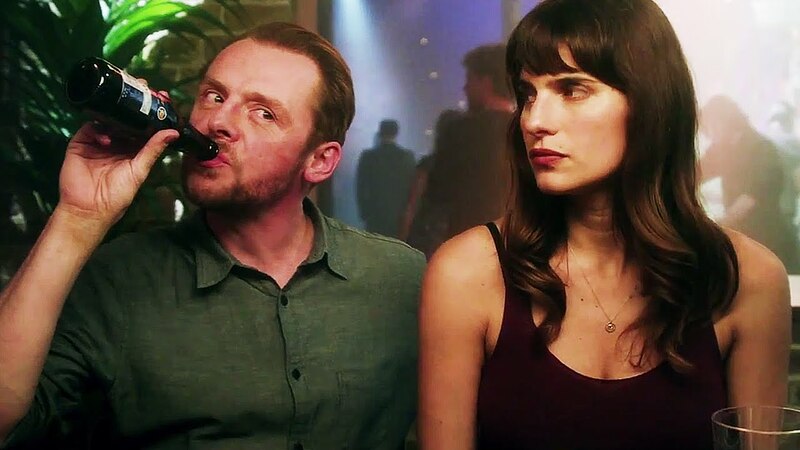 Simon Pegg’s done very well for himself, hasn’t he ? Not only does he get to hang out with the likes of Tom Cruise and JJ Abrams, he’s also played key roles in both the Star Trek and Mission: Impossible franchises. With a similar career path to Ricky Gervais, from highly original TV sitcoms, via more mainstream productions and ultimately to Hollywood, Pegg remains eminently more likeable than the star of The Office and enjoys a lower profile despite making considerably more films. 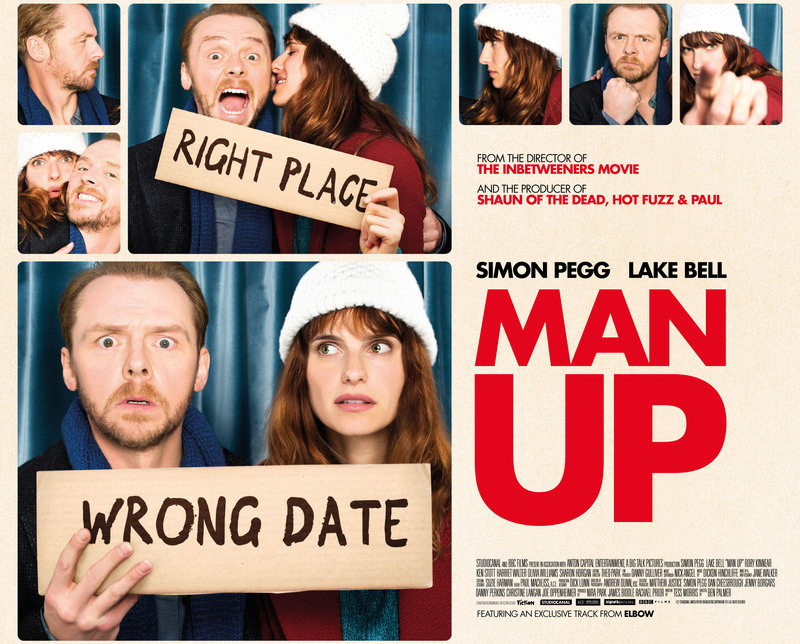 Man Up is a “traditional romcom” according to the man himself, but it’s not really: it’s far too clever for that. 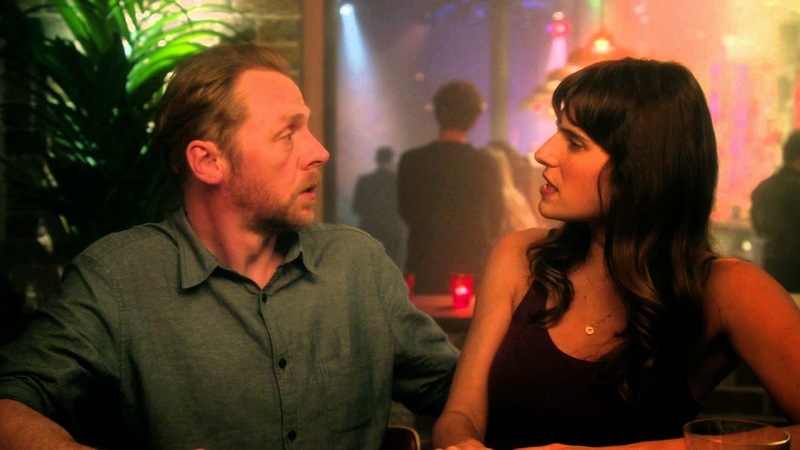 While the premise is the same – boy meets girl, they fall for each other, madcap hilarity ensues but ultimately all’s well that ends well – the execution is far from textbook. In fact, you could say it’s more “self-help book”, though I say that with tongue firmly in cheek. Pegg’s character, Jack (40), had arranged to meet Jessica (24) in a fairly traditional location – under the clock at where else but Waterloo station – but they were to recognise each other not by wearing a rose or clutching a rolled-up copy of The Daily Star, but by carrying a copy of the life-changing best-seller, Six Billion People And You, which urges people to throw away the past, grab life by the horns and really take chances to engineer a happy and successful future for yourself. Jack is a bit of a loser and a sad, lonely divorcee trying to get back on the dating scene. Jessica is a relentlessly upbeat, slightly vapid city girl. They’ve been set up on a blind date by a mutual friend but on the train on the way to the station, Jessica meets another girl and they get talking .. or rather she begins to extol the virtues of the book to the other woman. Clearly not interested, Nancy – the older, rather quirky looking woman in the opposite seat – initially feigns interest in that peculiarly British way we have, before eventually snapping and asking her to shut up. Undeterred, Jessica blathers on a bit until – lo and behold – they arrive at their destination and off she skips, eager to meet her date. It’s only as she’s packing up her things to disembark that Nancy realises Jessica has left her copy of the book on the table, having thrust it into her hands in a fruitless attempt to convert her into a believer. She chases after her, but loses her in the crowd on the busy concourse .. only to be tapped on the shoulder by the chipper and slightly nervous Jack because – of course – she happens to be stood right under the clock. What follows is a question of scruples for Nancy .. or Jessica, depending on your viewpoint. As she finds herself being dragged to a nearby bar for drinks and to “get to know each other” she finds she quite likes Jack. He’s witty and has good taste in movies and isn’t a complete idiot – which is a lot better than her usual choice of man. As she gets deeper and deeper into the deceit, she finally reaches a crossroads when she bumps into someone she knows from school. From there, it’s all downhill for Nancy as the story rapidly descends into farce with the kind of slapstick and fast-paced dialogue that only British movies seem able to pull off. Think Love Actually meets Withnail and you’re there: sharp, biting verbal sparring, horrific situations and a backdrop of seasoned character types all beautifully interwoven by two stellar performances from Pegg and Bell. As the plot thickens, we’re introduced to his ex, her family, his favourite drinking hole, her stalker and a whole gammut of cringeworthy scenes, situations and speeches. As the film gathers pace towards a frenetic and again, highly original denouement, you find yourself rooting for both of them, despite knowing they’re as flawed and ridiculous as most of us watching .. but then the best art is always based on the real world, isn’t it ? This is a romcom with a soul, a heart and a real difference: namely it doesn’t take itself too seriously, is actually very believable but also laugh out loud – hilariously – funny. This entry was posted in blogging, Media, Movies, Opinion piece, Review and tagged adult comedy, black comedy, blind date, bridget jones, cinema, dating, english film, english movie, film, four weddings, hugh grant, love, man up, movie, relationships, review, rom com, romantic comedy, romcom, simon pegg by rigger67. Bookmark the permalink.